yup, i nv buy fps for console although i own ps4. hate using controller to aim,....maybe go look for a multi button mouse... to bind crouch. i used to own Razer Naga for play world of warcraft, damn shiok...but spoilt alredi. Last edited by Trueblue82; 08-12-2017 at 05:14 PM..
ah. now then i found out Codex station is where the quests are. melee weapon has a slot call stance, you can use related stance mod for the weapon u using and it will boost the point you have on that weapon to use higher level mod or more mod. Weapon stance mod also allow you to do combo attack for melee weapon. You can only do those in melee stance mode. so if i have the gun out even if i got combo and i hit "E" only will be single attacks? when i say melee combo, i mean you can do different style of melee attack. example left click twice and right click 3 time will do one style, and using same weapon. left click 5 time will do another style. Look at this video will greatly understand what i mean. TrueBeliever_jh and Trueblue82 like this. December 8, 2017 – Independent Canadian developer and publisher Digital Extremes is proud to announce the three winners of the Warframe Tenno’s Greatest Trailer Contest. Benjamin Noisette (NihilVX), Ryan Tam (NYx53), and YegorPoustovalov (AQUA5) are the first, second and third place prize winners from the contest that challenged the Warframe community to show their love in trailer form. The winners won $10,000, $3,000, and $1,000, respectively. The three trailers debuted at The Game Awards 2017, held Thursday, December 7, in Los Angeles, Ca. which mod worth leveling for beginner? i am doing vitality, the energy shield one and melee damage for now. i went and bought Logitech G502 mouse, now got many buttons to program haha! Not sure if anyone posted. Those interested and with a twitch account... go link your Warframe account to it. Then activate the prime trial... remember to deactivate it after u got ur frost prime in game. Last edited by Jin_GY; 09-12-2017 at 07:31 PM..
Beginners get ur health high, can last longer...but without better dmg output, also abit hard to survive. 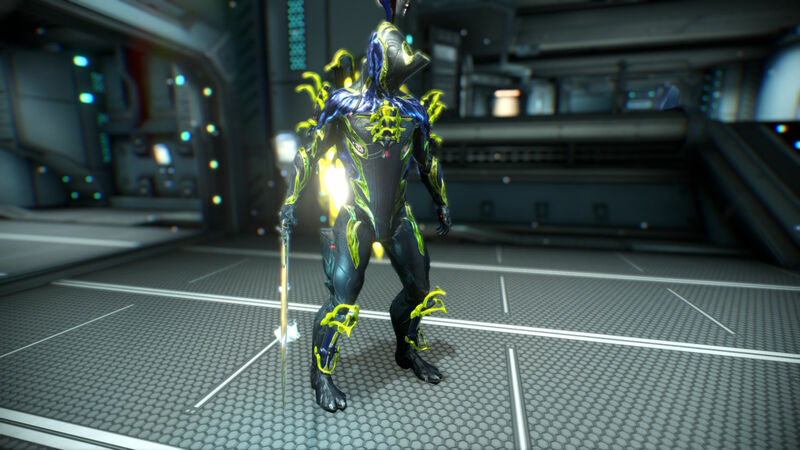 Let’s say, u’re using excal for beginner, go read up how to mod excal. Those are the mods used for building a good excal. For effective dmg output... Google Warframe damage 2.0. Each type of enemy have their own weakness... what’s effectively killing the Grineer might not be effectively killing the corpus. For beginner, best is to use rhino. It’s a tanky frame which can survive some mid level abuse. The frost prime I mentioned above also quite a good one for beginner. My advice is to spend some cash to buy the plats only if you’re interested in playing long term and If managed to get 50-75% discount on plat purchase. If don’t feel like spending money, but can commit time, go do some relic farming and then farm prime parts to sell for plats. U can’t see alert/invasion if the planet not available to you. Can check this site and if there’s any orokin catalyst, reactor or forma blueprint as reward for alert or invasion. Go to the recruiting tab. Type LF taxi to e.g forma alert. LF= looking for. These 3 items are essential to building a stronger Warframe n weapon. Last edited by Jin_GY; 09-12-2017 at 08:02 PM.. The learning curve was pretty steep, but the wiki is always there to help. Im noob, but already a fashion frame addict.